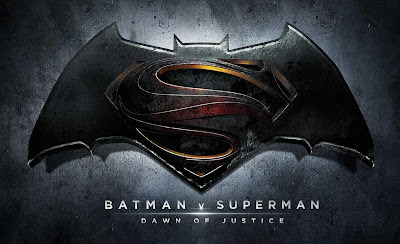 I saw Batman v. Superman: Dawn of Justice on opening weekend, but I'm only now writing about it. By now the internet has dissected the movie far more adeptly than I could ever manage, but I still wanted to get my thoughts out there. I thought it was a mess. From the editing to the dream sequences/visions to the whole reason for the Batman-Superman smackdown, I thought the movie failed on several levels. The high points weren't enough to keep the movie from collapsing under the weight of its dour nature and faux-complicated plot. I'm a big fan of Man of Steel. I realize that's a dangerous opinion on the internet, but I liked that movie. It told a story--a hero's journey--and it told it well. We saw a Clark Kent/Kal-El/Superman conflicted over his purpose in life. He didn't just show up at the Fortress of Solitude one day, find an outfit, and turn up a decade later as Superman, as Christopher Reeve's iconic version of the character did. They tried to humanize Superman with the pitfalls of a human being. I get why that didn't work for a lot of people, but it worked for me. The reason it worked for me because I thought we were seeing a Superman in training. I thought we were seeing a guy who couldn't quite bear the weight of being a hero but who would one day stand tall. One day he'd inspire hope among the people of Earth. "You will give the people of Earth an ideal to strive towards. They will race behind you, they will stumble, they will fall. But in time, they will join you in the sun, Kal. In time, you will help them accomplish wonders," his father, Jor-El, tells him. The hopes and dreams of his Kryptonian father are counterbalanced by the all-too-real concerns of Jonathan and Martha Kent, goodhearted Midwesterners who don't really know what to do with a son who has special gifts. They don't want him to show his powers because people fear what they don't understand. Jor-El speaks from an idealistic place; the Kents speak from a realistic one. When Clark saves a school bus full of kids and his father suggests maybe he shouldn't have, it's a reality check for everyone. He doesn't know what to do with his son, and that suggestion rings false from him. There's no way Jonathan Kent thinks that way, not really, but he wants to protect Clark. In the end of Man of Steel--about the last five minutes or so--we see a hero who wandered for so many years finally find his place. We saw hints of the wink-wink, nudge-nudge nature of the Clark Kent-wears-glasses-Superman-doesn't charade we're familiar with. You got the idea that Clark Kent was ready to embrace his role as Superman and balance the well-intentioned but divergent philosophies of his two families. Superman represents the Kryptonian in him, that ideal to make the world a better place. Clark Kent represents the everyday Midwesterner who can make a difference without bringing attention to himself. Batman v. Superman: Dawn of Justice throws every bit of that character development out the window. We see a Superman who hasn't, in fact, found his way. We meet a character who hasn't developed at all. He's a sulking, conflicted dispenser of vengeance instead of a hopeful beacon of light. Even the fallout from the Battle of Metropolis and the destruction it caused gets only lip service in the movie, replaced by tacked on debates about a mission in Africa and a plot involving a disgruntled man injured in the Superman-General Zod fight who eventually blows himself up and kills several people in the process. Even the main thrust of the movie, the conflict between Superman and Batman, makes very little sense. Let's pretend for a moment that the writers and producers of the movie remembered the character arc they sketched in Man of Steel. The movie would've presented a Superman who actively cared about humanity and didn't feel so isolated. Maybe he wouldn't be saving kittens from trees, but he'd do random acts of kindness and take joy in it. He'd still realize he couldn't save everyone, but he'd put his best foot forward and prove that the world really does need a Superman. If we had that Superman in this movie, the showdown between the two heroes would hold up to scrutiny. Let me make this clear: Batman/Bruce Wayne's viewpoint is very well represented. It makes sense as presented in the movie. Bruce Wayne watched people he cared about die; he saw Superman and Zod tear apart Metropolis and neighboring Gotham City. This Batman, older, cynical, jaded, views the newcomer as a threat. His paranoia makes sense. You understand why Batman would consider Superman a threat and try to take him down. No complaints there--Batman's ire against Superman is earned. This battle should've been a philosophical one: the brighter, inspiring heroics of a Superman who found his way in the world versus the violent, dark methodology of the Caped Crusader. Two opposing worldviews, two opposing forces. Superman a brighter reflection of Batman; Batman a dark harbinger of what Superman's powers could become if warped. The conflict wouldn't need an external agitator in Lex Luthor because it would foster a natural rivalry. But the movie isn't interested in setting up something that makes sense or with true stakes. Instead, BvS gives us a Superman and Batman who aren't all that much different. They're basically the same person, one just a little older and angrier. They're both dour, dark, conflicted men with deeply rooted personal issues and warped senses of justice. As such, the conflict between them isn't all that interesting, and the movie contrives a plot from Lex Luthor to make it all happen. The movie would have you believe that Mark Zuckerberg slowly drove Bruce Wayne insane with notes about the dangers of Superman and also fed information to Clark Kent suggesting the Batman was out of control. Luthor, manipulative? Sure, no problem. If the contrasts between the two heroes had been more pronounced, this could have even been interesting. But that subtle manipulation is undercut by the movie's decision to have Luthor kidnap Lois Lane and Martha Kent. Kill the Bat, or Martha dies, Lex basically says. Thus, Superman doesn't fight Batman because he wants to or because their conflicting worldviews finally come to blows in a satisfying way. They fight because Lex Luthor kidnapped Superman's mom. I can't state enough how much of a misstep and missed opportunity this was. The movie didn't even need Luthor, not really, but I understand the desire to work him into the plot. I just don't understand his ultimate endgame here or what the hell Jesse Eisenberg was trying to do with the role. Luthor feels superfluous and tacked on. Even his proclamations at the end of the movie that clearly hint at the arrival of Darkseid end up unsatisfying. And then, hey, let's just throw Doomsday in there and kickstart the Death of Superman storyline. And then, hey, let's just throw in Wonder Woman (although she was awesome and that music)! This movie disappointed me more than I could have ever imagined. Zack Snyder and company had all of the ingredients in place for a movie that had a cohesive emotional core. We should've been having a 9/11 panel-type commission on Superman and the Battle of Metropolis instead of some silly debate about a random incident in Africa. We should've had an immovable object versus an irresistible force instead of the "by the way, I know who you are and kidnapped your mom" conflict we're treated to. We should've had a Superman confident in his abilities and role in the world--you know, the Superman hinted at during the conclusion of Man of Steel. Oh, and that one trailer with Doomsday totally outlined the plot of the movie. Seriously, WB, that trailer left me with exactly one surprise in the film: Superman's death.